We're having a splendid time at Who Do You Think You Are? Live at Birmingham's NEC. The world's largest family history show, this year's WDYTYA Live is bigger and better than ever. 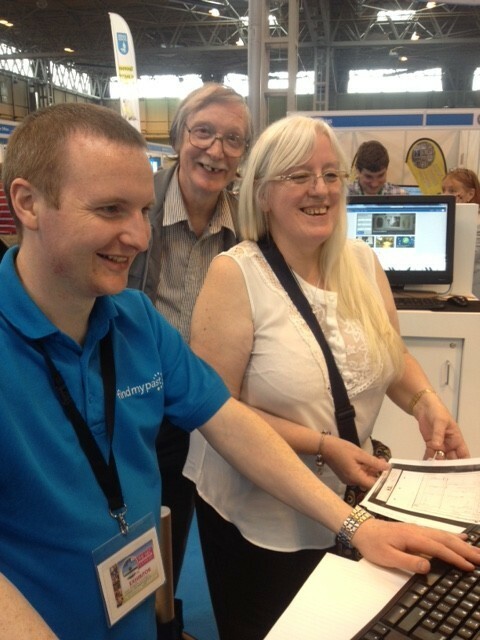 We've met hundreds of family historians at our stand, where our team has been on hand to help everyone get started, or to help break down those tricky brick walls. 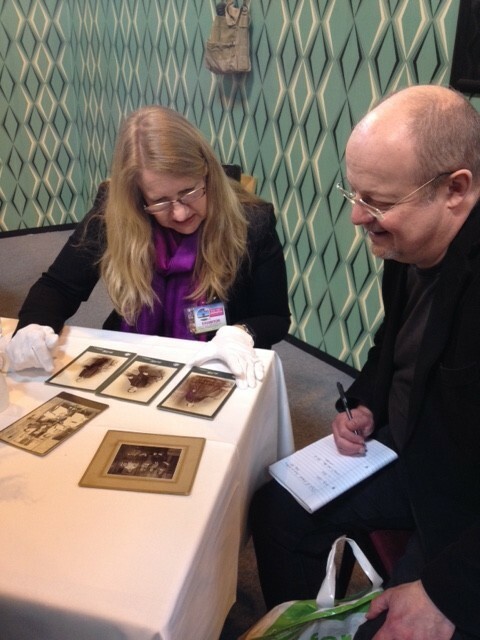 It's been great to see family mysteries unravelling live on our stand. What's more, this year, to celebrate our project to digitise The 1939 Register, we've built our very own 1939 themed tea rooms. With genuine WW2 memorabilia, posters from The National Archive's collections, authentic 'Nippies', a bow-tied maitre d', and more crumpets than you can wave a Union Jack at, our 1939 Tea Rooms really is a blast from the past. Here are a few photos from the show. If you're here in Brum please do drop by and say hi - and take advantage of our exclusive show offers. We hope to meet even more of you tomorrow! 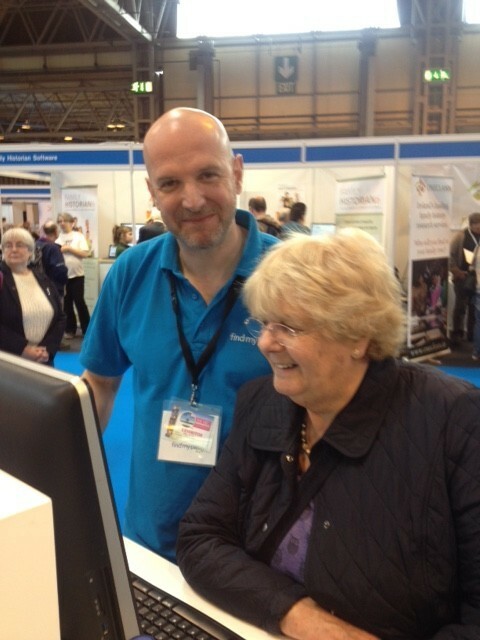 Our military expert, Paul Nixon, helping a member discover more about their wartime ancestors. Breakthrough! 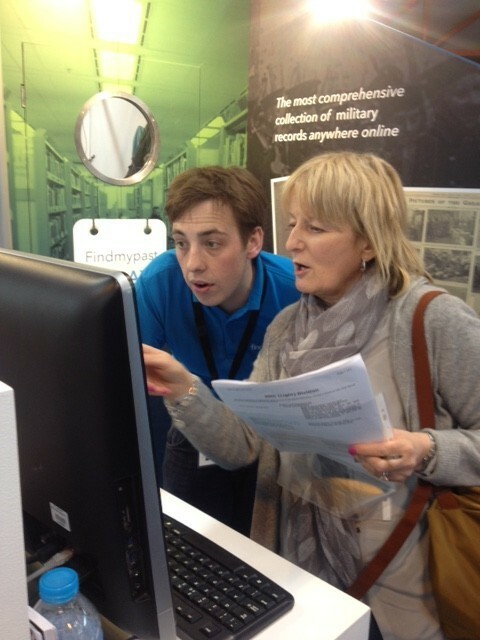 Great to see so many people learning more about their family history on Findmypast. 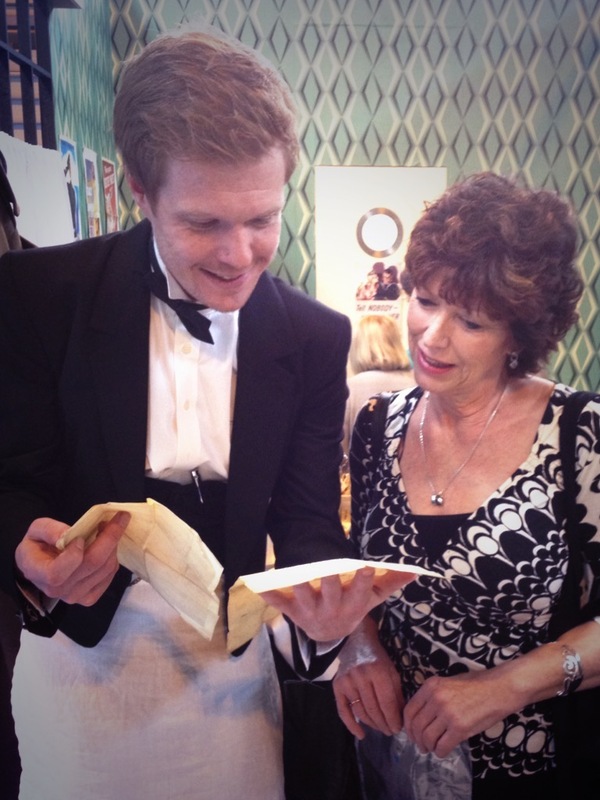 Our 1939 Tea Room's maitre d' (Jim, of Jim's Gem's fame) getting excited about an original WW2 letter. 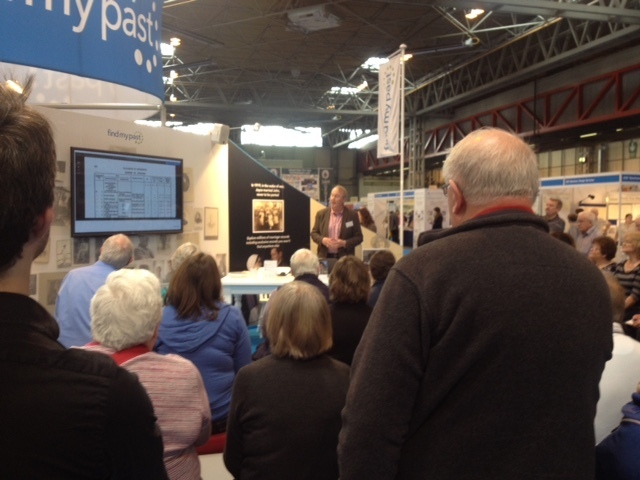 Our talk on getting started with Irish family history was packed - standing room only!